During the Heian period, the deity to protect the country from evil was enshrined in this shrine. It was located in the South of the capital, and its deity is famous for protecting the "four courners". This shrine is famous for its various festivals according to old tradtions. 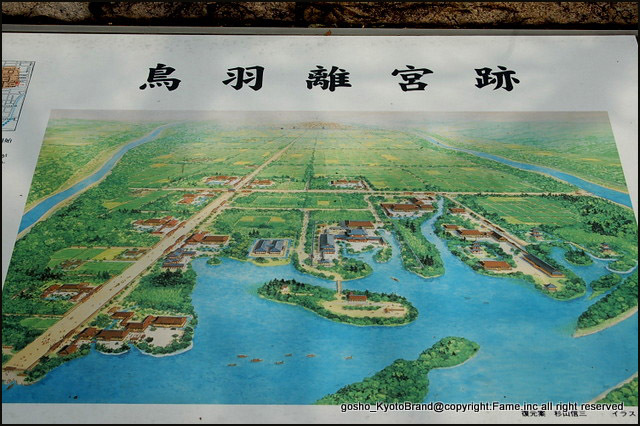 is in the area that was under the peaceful rule of Emperor Toba. 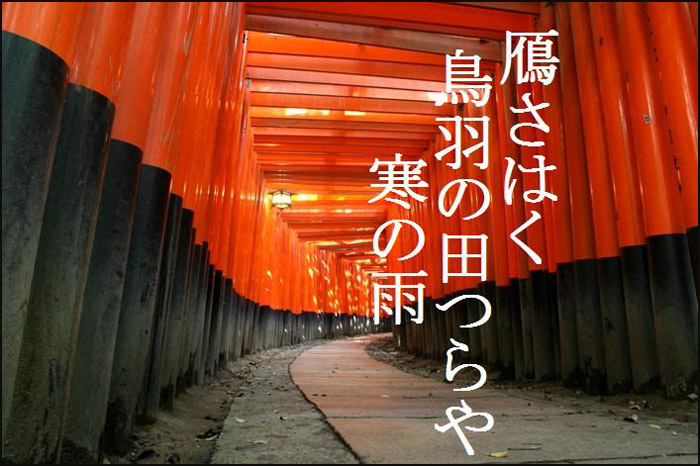 It was a strategic gateway to the ancient capital of Heian-kyo (now Kyoto). It was also a beautiful riverside scenic spot on the Kamogawa River. ... Thus, it was seen as a prosperous sub-capital at the heart of culture and government over a period spanning more than 150 years of the emperors and ex-emperors. Before departing on their pilgrimages, the nobility prayed for safe journey along the way as well as purifying themselves by abstaining from eating meat. 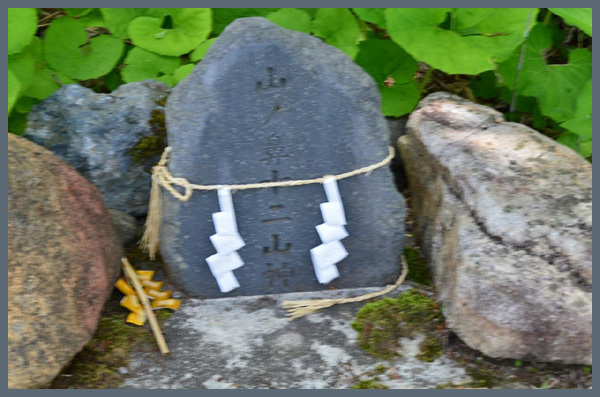 In particular, the Ex-emperors, Shirakawa and Toba often chose Jonan-gu as a spiritual place to start their pilgrimages to Kumano. They would seclude themselves and do purificiation rites for seven days before departing on the pilgrimage of devotion which took a full month for the roundtrip. In those times, many people chose Jonan-gu because it impressed people with its lodgings, and it was believed that Jonan-gu was a suitable place to start from for a religious journey. This shrine is also called Mahataki Jinja 真幡寸神社. On the festival day three mikoshi portable shrines decorated with Pine, Bamboo and Plum (Shoochikubai) are carried around in a large procession in the evening. In former times there were also horse races and shooting competitions (Jonan yabusame). Toba palace, which immediately sets this in the Heian or early medieval period, was an imperial villa that the Cloistered Emperor Shirakawa (1053 - 1129) constructed near Kyoto in the eleventh century and that subsequently became the location of a number of political and military conspiracies. The galloping horsemen are probably warriors on some emergency mission - a sense of turmoil and urgency embodied in the season word of autumn tempest (nowaki). An American equivalent might be something like the Confederate cavalry at Gettysburg during the Civil War or the militia at Lexington during the American revolution. The hokku creates a powerful atmosphere and a larger sense of narrative, like a scene from a medieval military epic or from a picture scroll. 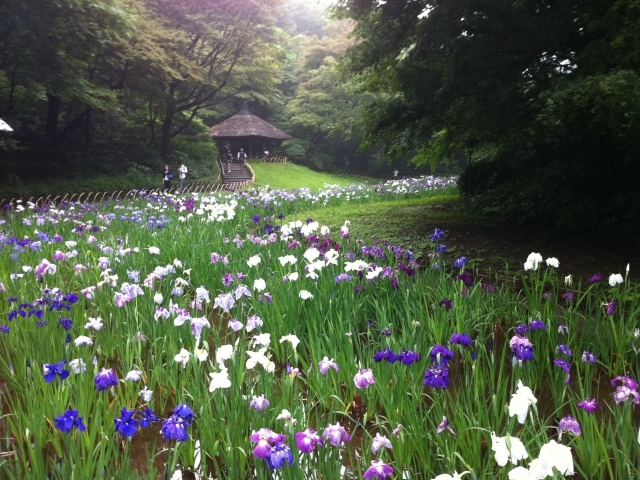 In a typhoon of early autumn. Nobody reads the Haiku without picturing a scene in his mind readily. The Haiku has three elements that arouse our sense of weirdness, uneasiness, and gloomy foreboding. 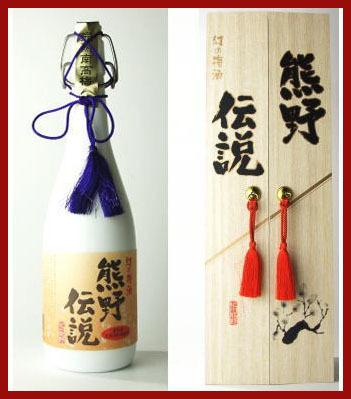 One is 'Tobadono', which stands for government by a retired emperor, with the possibility of political disturbance. Another is 'mounted warriors', which represents a disquieting behavior or a riot. The last is 'a typhoon in the early autumn', in which the first two climax as psychological suggestion of political turmoil, or a civil war. Besides, an autumnal typhoon is associated with a long severe winter. Here in this respect, there is no substitute of the season word for 'a typhoon in the early autumn'. In the Haiku, fiction plays a very important role, but many agree that it ranks among his best haiku poems. a storm-wind of the fall! the frogs . . .
occurred between pro-Imperial and Tokugawa shogunate forces during the Boshin War in Japan. The battle started on 27 January 1868 (or Keiō-4 year, 1-month, 3-day, according to the Japanese calendar), when the forces of the Tokugawa shogunate and the allied forces of Chōshū, Satsuma and Tosa Domains clashed near Fushimi, Kyoto. The battle lasted for four days, ending in a decisive defeat for the Tokugawa shogunate. Written in 元禄4年, Basho age 48. 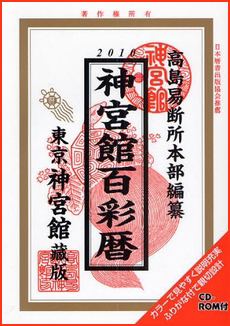 There are many shrines with this name in Japan.
. WKD : Jinja　神社　Shinto Shrines - Introduction .
. Daijinguu 大神宮 Daijingu .
. hatsugoyomi 初暦 (はつごよみ) "first calendar" calendar for the New Year . 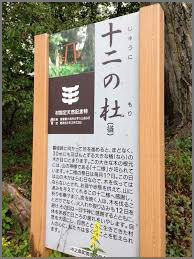 This refers to a temple within a shrine compound. were Buddhist temples associated with Shinto shrines. Jingūji were built according to the notion of the "amalgamation of Shintō and Buddhism" (shinbutsu shūgō). 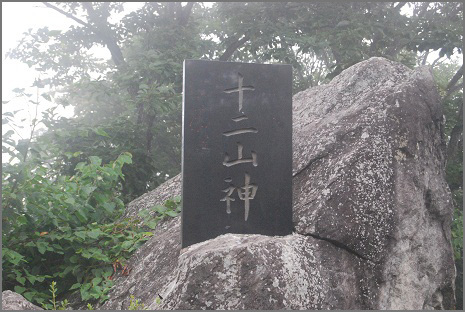 The first recorded instance of a jingūji is found in the first volume of Nihon ryōiki (Miraculous Tales of Japan): to fulfill the vow made at the time of the Kudara (Paekche) expedition during the reign of Saimei (r. 665-661), an ancestor of the senior district chieftain (dairyō) in the Mitani District of Bingo Province (present day eastern Hiroshima Prefecture) founded a temple named Mitanidera for the sake of the deities. Also, in the vicinity of Usa Jingū, Buddhist temples such as Hokkyōji and Kokūzōji were built during Tenmu's reign (672-86, the Hakuhō era). These temples were later consolidated into the jingūji of Usa Shrine called Mirokuji. However, temples that were given the title of jingūji (jingōji) and clearly dedicated to particular shrines appeared a little later. 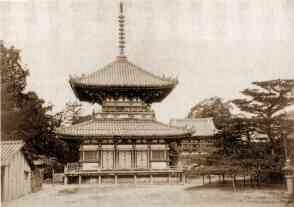 The earliest example was Kehi Jingūji. 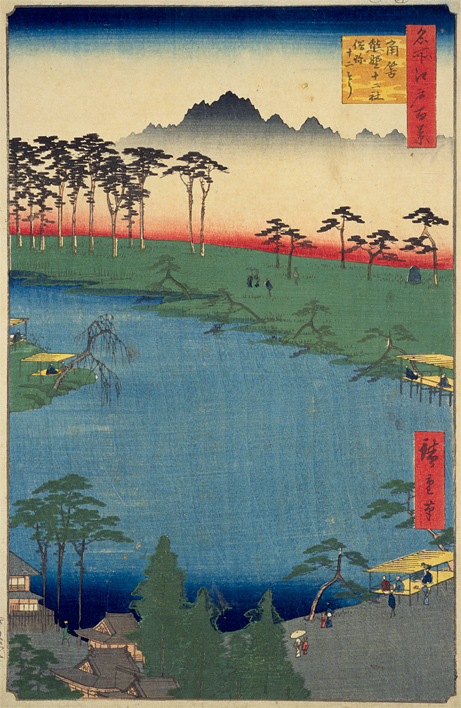 It was founded in 715, according to Muchimaro's biography in the Tōshi kaden (The Biographies of the Fujiwara Family). It was followed by Wakasahiko Jinganji, built in the Yōrō era (717-24); and by Kashima Jingūji, which was constructed in the Tempyō-shōhō era (749-75). Thus, a number of jingūji were founded in various locales during the first half of the eighth century. In the late Nara period, during the reign of Shōtoku (764-770), the royal court designated Ōkasedera, a private temple in Ise Province, as the jingūji of Ise Shrines. 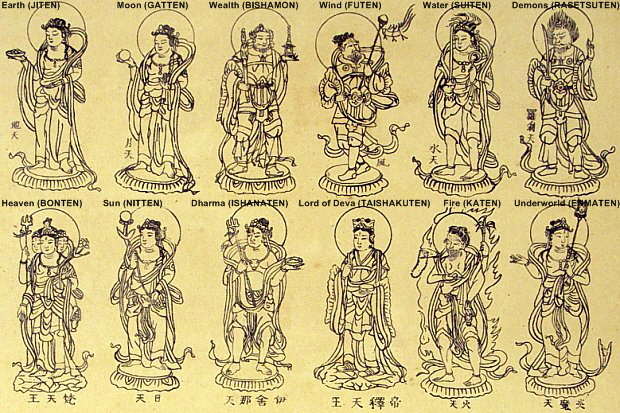 The early jingūji were constructed based on the premise that deities — who were thought to have been born as kami due to karmic retribution — could be liberated from their suffering through Buddhism. Such jingūji were generally not built by the state. Instead, popular ascetics erected these temples, with the assistance of shrine priests (kannushi) and local leaders. 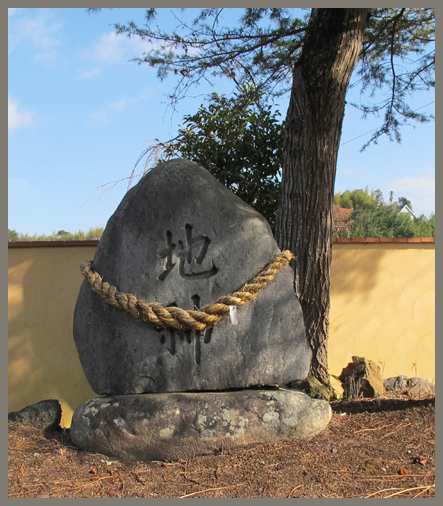 Typical examples were shrine temples in Tado and in Kashima that were founded by the wondering monk Mangan. In the Heian Period a new type of institution called the miyadera　宮寺　emerged. 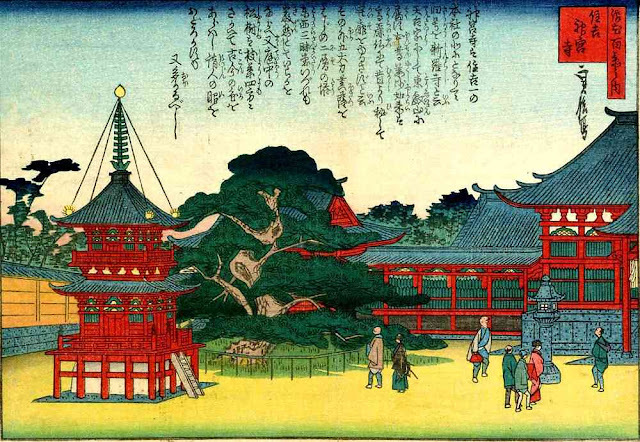 A miyadera was simultaneously a jingūji and a shrine. 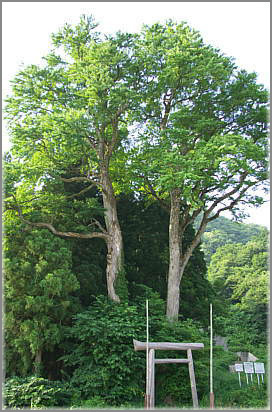 The first miyadera was established by a monk of Daianji, Gyōkyō, who "invited" (kanjō) a Hachiman deity from Usa to Iwashimizu Hachimangū (Iwashimizu Hachimangū Gokokuji). After this, other institutions such as Gionsha Kanshin'in (present-day Yasaka Jinja) and Kitano Tenmangū (Kitano Miyadera) were built. 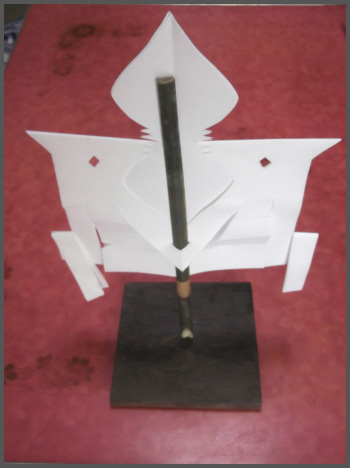 Many of the shrines for mountain worship, such as Kumano and Hakusan, took the form of miyadera. 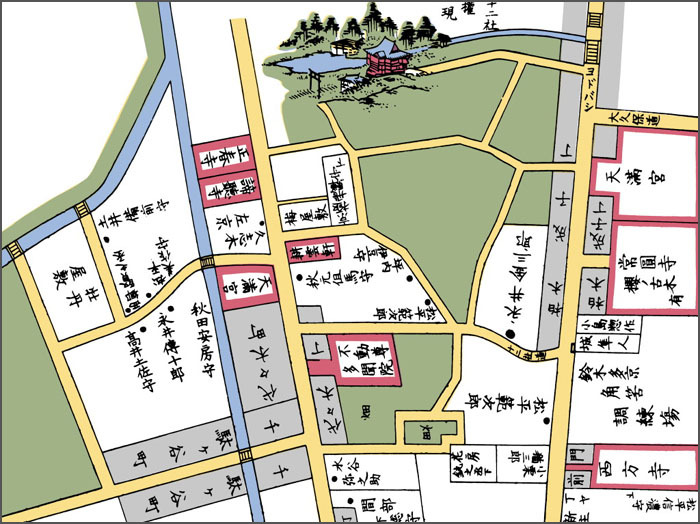 Miyadera utilized administrative models derived from Buddhist temples — they were managed by a kengyō (superintendent), chōri (superintendent, director), bettō (director), and shugyō (secretary). Such positions were held by hereditary shasō (shrine monks) who were permitted to marry. 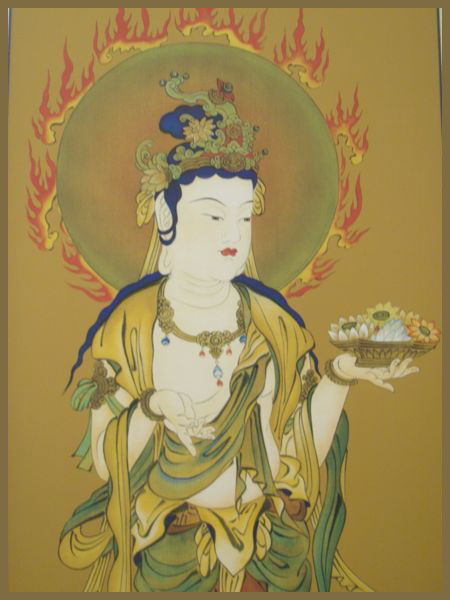 There were also shrine priests who did not take Buddhist vows and who were lower ranking than the shasō. 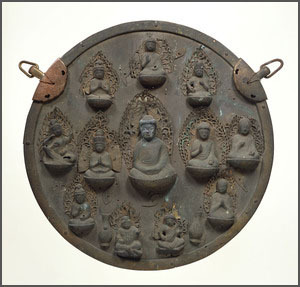 Due to the influence of Buddhism, the enshrined deities (saijin) at miyadera were "vegetarians" — their shinsen (divine food offerings) did not include fish or fowl. 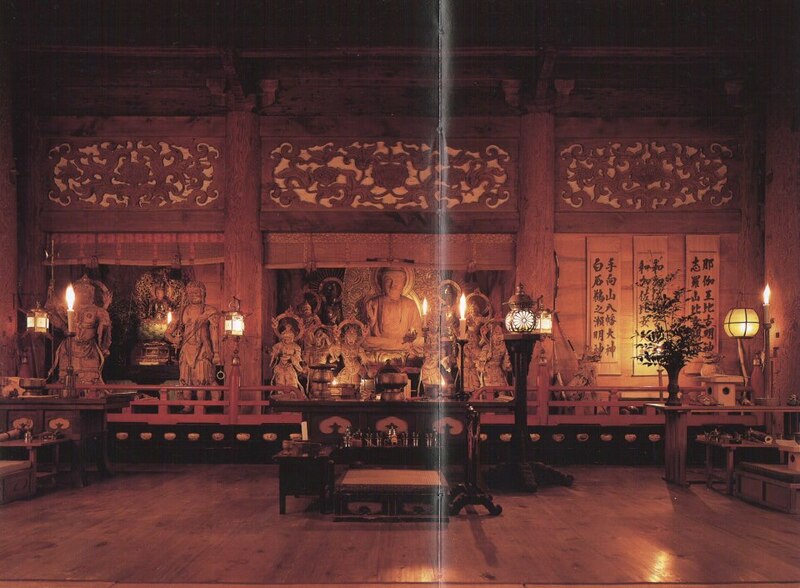 In the early modern period, the term bettōji 別当寺　was often used for jingūji. Most of the major Shintō shrines had associated bettōji or jingūji. 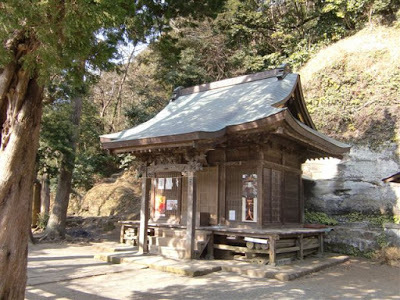 However, because of the policy of shinbutsu bunri (the "separation of Shintō and Buddhism") in the early Meiji era (1868-1912), many of these shrine temples were abolished and the shasō were either driven out or forced to become lay members. The few shrine temples that survive include the jingūji of the Wakasahiko Jinja and the Seigantoji of the Kumano-nachi Taisha. There are also some temples with this name.
. Uchiyama Eikyuuji 永久寺 Uchiyama Eikyu-Ji .
. Jinguuji 神宮寺 Jingu-Ji Fudo Temples .
. Wakasa Kamo Jinja 加茂神社 and 若狭 神宮寺 Jingu-Ji . 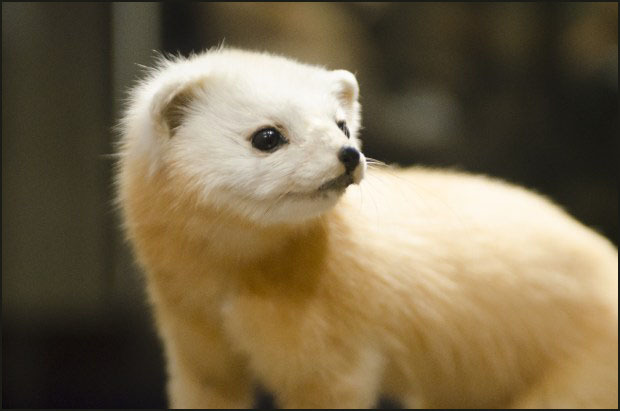 A haiku poet called Jinguji.